When Jurgen Klopp, Zeljko Buvac and Peter Krawietz took the helm in 2015, they were told by everybody that Dejan Lovren was a liability. The centre-back had struggled badly under Brendan Rodgers, who’d signed him from Southampton in summer 2014 for £20m (a much more significant sum than it’s considered now). This is according to Krawietz, who was quoted in German journalist Raphael Honigstein’s latest book, Bring the Noise, a biography on Jurgen Klopp. Liverpool’s coach, however, has claimed they decided to stick with the central defender and give him a chance to prove himself at Anfield. Dejan Lovren was abused online for his performance in the 4-1 loss to Spurs at Wembley. Many Liverpool fans will wince at Krawietz’s notion that the Croat’s improvement has been ‘great’. He still comes in for extraordinary criticism for his mistakes and actually received death threats earlier this season following his Tottenham horror-show. The reality is he’s nowhere near as bad as some supporters suggest; the type who similarly scapegoat Alberto Moreno and Jordan Henderson and label them ‘awful players’. It should be no real surprise that Klopp and his backroom team chose to try and improve Lovren on the training field, as that’s very much his footballing philosophy. 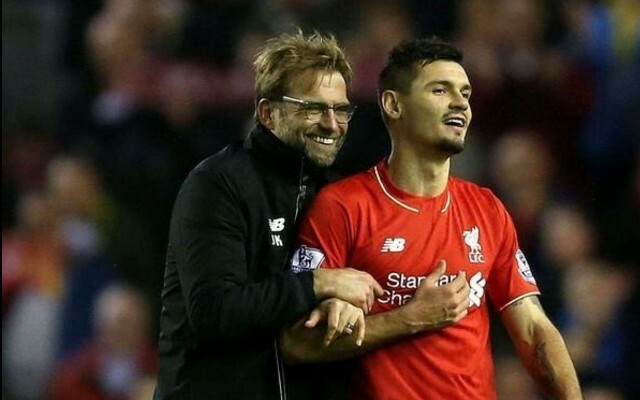 In fairness, Klopp’s Lovren is better than Rodgers’ Lovren – but that doesn’t mean he’s suitable long-term. Liverpool need a confident centre-back who doesn’t play on emotion as a matter of urgency.